You should know by now that I love me some Rory McIlroy, even if nobody else does. That's why what he said to BBC recently was endlessly fascinating. McIlroy dished on Tiger Woods, how many majors he wants and why he'll be all right with hanging it up by the age of 40. 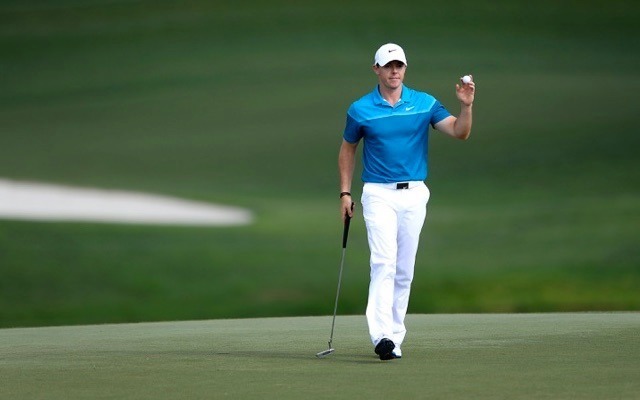 "I think I'm pretty close to playing my best golf," McIlroy told BBC. "I'm definitely able to feel more equipped to win now." Well, that's terrifying for the rest of the PGA Tour. "I feel like I'm in a generation with a lot of young guys that are coming up and I want to be the best of this generation. I want to win a lot more tournaments, I can win a lot more majors. I haven't put a number on it because I don't want to put that burden on myself. I just want to be better than everyone else." McIlroy fascinates me partly because he doesn't seem to make golf ultimate in his own life. He seems interested in other things and genuinely intrigued by the people around him. "I don't anticipate playing senior golf or championship golf. [Retirement at age 40 is] 14 years away, that's longer than most sports people have, and I've already had an eight-year career in golf. Twenty five years should be enough to help me achieve what I want to. If there comes a time when I feel I can't win or give it my best I'd very happily hang up the sticks and do something else." McIlroy also noted that Tiger Woods is somebody whose work he'll never touch. Not because he can't on the course but because he'll never have the opportunity off of it. "I'll never be able to do for golf what Tiger did. He was a phenomenon, he brought so many more people into the game because of his background and how he started on tour."